The lovely floral prints and ditzy�s found in the traditional 1930�s style, are featured in a brand new Feedsack collection by Whistler Studios. 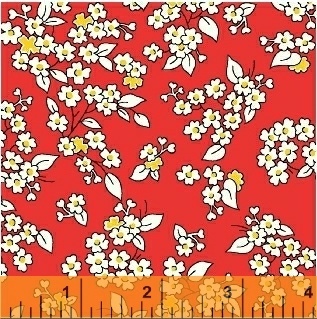 In 1930�s shades of red, yellow, blue and green, these prints are sure to inspire a great vintage project. 20 SKUs - Delivery to Stores July 2016.